Combine the authentic soul and pure heart of St. Kitts with the renowned service and amenities of the oceanfront St. Kitts Marriott Resort & The Royal Beach Casino and you have something truly special. The resort features 320 guest rooms and 73 suites. Guests will enjoy 5 full-service restaurants, a cafe, Pizza Shack and 3 pools. 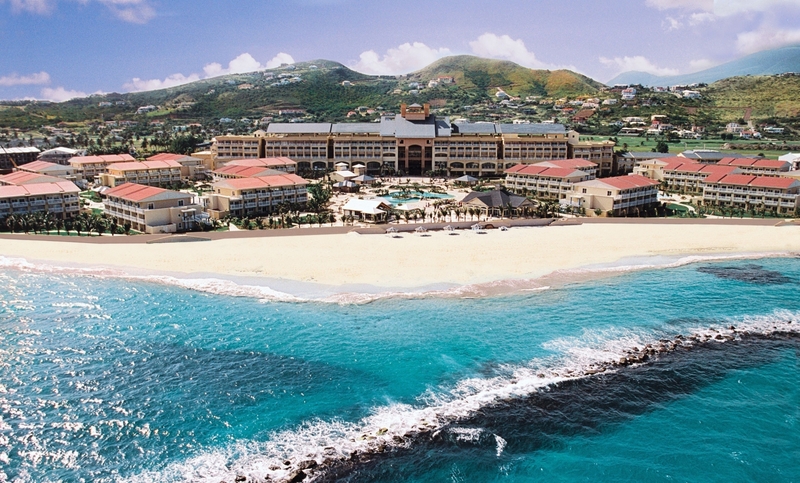 With 9 different meeting rooms totaling 15,000 square feet of meeting space and the Eastern Caribbean’s largest Vegas-style Casino adjacent to the hotel’s main lobby, the St. Kitts Marriott has something for everyone. Famed Canadian Golf Course Architect Thomas McBroom has skillfully remodeled Royal St. Kitts Golf Club to provide breathtaking views of the natural terrain. 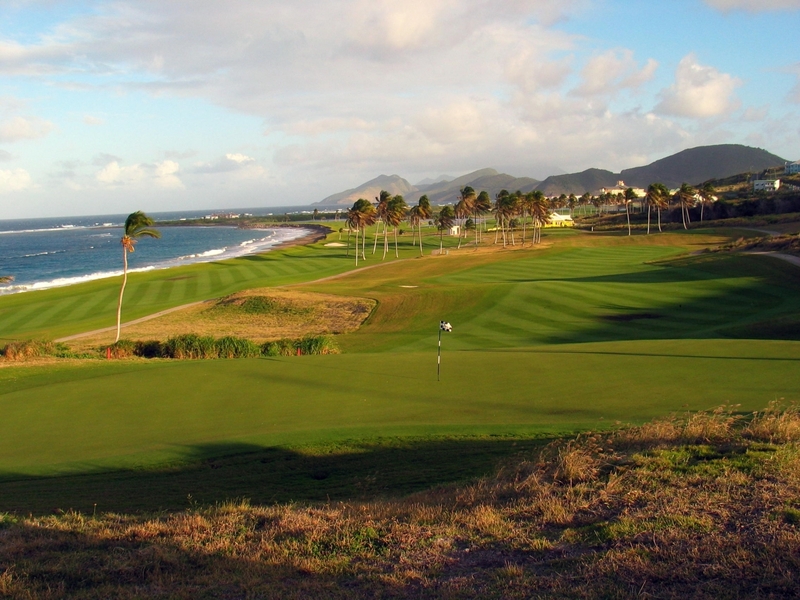 The course boasts spectacular and picturesque holes, which border the black sandy beaches of the Atlantic Ocean and stretch to the calm waters of the Caribbean Sea. The “links” style golf course has five par 3’s with three full holes on the Atlantic Ocean and two full holes overlooking the Caribbean Sea. The course is spread over 125 acres of irrigated, lush seashore paspalum, and advanced hybrid turf grass, specifically designed to tolerate the salty ocean spray. Displaying a moderate number of sand bunkers and 12 beautiful lakes on the course, wide fairways, and large putting greens, it is a fair, yet challenging test of golf. Four sets of tees allow golfers of all skill levels to enjoy the challenge posed by this magnificent, modern layout. The finishing hole returns golfers to the “country club” style clubhouse, which features a full-service golf shop, locker rooms, and clubhouse bar and grille. The Royal St. Kitts Golf Club is open to the public and guests of the resort receive preferred rates and tee time making privileges. The course, which is run by PGA accredited professionals, also welcomes tournaments, group outings, and special events.